The upcoming Xiaomi double-foldable device could reportedly be priced at $999 (approximately Rs 68,900). Back in January, a video of Xiaomi’s foldable phone surfaced online. The video showed Xiaomi’s co-founder and president demonstrating the device on camera. Now, Xiaomi has released another video of its double-foldable smartphone via Weibo. The 10-second video shows off the double-fold in action as well as a swipe-to-go-back gesture. It shows how quickly one can use the device like a tablet or a smartphone. Unlike Samsung’s Galaxy Fold, Xiaomi‘s phone folds back from both sides of the screen, leaving a compact phone sized screen in the center. Opening up both sides of the screen gives the device a tablet-sized display. Besides, the Chinese company is said to launch its foldable device in the second quarter of this year, which could be between April and June. It might unwrap it at half the price of Samsung’s Galaxy Fold. According to a report by iGyaan, the upcoming double-foldable device could be priced at $999 (approximately Rs 68,900). 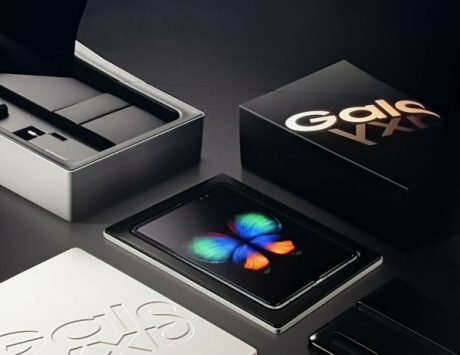 It’s competitor Galaxy Fold comes with a starting price of $1,980 (approximately Rs 1.4 lakh). The Huawei Mate X, on the other hand, cost a whopping $2,600 (approximately Rs 1,79,296). There is a possibility that Xiaomi might offer its device with a more affordable price tag, taking it’s old more for less price strategy into account. Furthermore, Xiaomi is also expected to bring the device to the European market with a price of €999. The report also stated that the foldable handset could make its way in India with a price label of Rs 74,999. However, at the moment, there is no information on whether Xiaomi is planning to launch its foldable device in India. As for the specifications, Xiaomi’s yet-to-be-named phone is expected to be powered by Qualcomm’s leading Snapdragon 855 chipset, paired with up to 10GB of RAM. It is said to ship with MIUI 10 based on Android 9 Pie.